The team at Imperial Family Dentistry in Marshall, TX is committed to providing high-quality dental care that is compassionate and gentle. Your comfort is important to us and Dr. Kayla Fry-Bradley has the skill and experience to maintain, enhance, and restore your smile. From thorough exams and cleanings to dental implant restoration, our team has your best interests at heart. Our Marshall dentist provides a wide range of dental services for Marshall, Tatum, Scottsville, and nearby communities. We offer emergency dental care to diagnose and treat dental pain and injuries as well as treatments to help reduce the risk of decay. For those with complex dental issues, our practice is well-equipped to restore your smile. Imperial Family Dentistry welcomes patients of all ages and sees children beginning at the age of one year. This helps instill the importance of their oral health and the care that is needed to keep their smile looking good. Dr. Fry-Bradley offers an introductory visit for your child to experience the dental office in a relaxed, stress-free atmosphere. Our youngest patients enjoy choosing a reward for their participation from our toy wall. Our dedicated dentist designs flexible treatment plans to meet the unique needs of our patients, no matter what their age. We offer professional teeth whitening, dental bonding, porcelain veneers, and finely crafted prosthetics with a choice of quality materials for improvements to your smile. You can count on our trusted lab to deliver restorations that fit properly and look natural. At Imperial Family Dentistry, we understand that no two smiles are alike and customize your treatment to match your situation. For patients with dental anxiety, we offer a choice of sedation options. We also know that prioritizing your smile can be a financial investment and consider every aspect of your oral health and circumstances, to make receiving care affordable. Our hygienist and staff have built a reputation for friendliness, efficiency, and reliability. 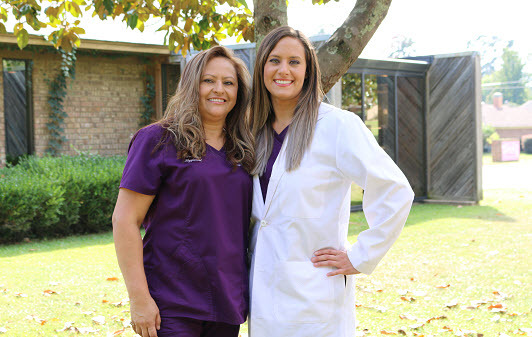 If you would like to learn more about receiving compassionate and professional dental care in Marshall or anywhere in Harrison County, call our office today!